Portfolio Property Investments strongly believes in offering its clients a truly flexible property solution. We strive to offer a complete One Stop property platform where you can obtain all the services you require under one roof. Our dedicated team of Property Practioners will actively market and sell your property through our network of Clients, Investors, Estate Agents and Partner Companies. Acting on your mandate Portfolio Property Investments will provide you with a professional and efficient service. Monitoring and handling of all enquiries – creating a smoother sales experience for our clients. A Property Tender is just another service that PPI provides for its clients. It is very much a mix between brokering and auctioning a property. The seller enters into a Sole Mandate with PPI where we then openly market the property up until an agreed closing date. Prospective Purchasers must have submitted their confidential bids by then, to be simultaneously opened after the closing date. More and more people and businesses are using the Auction option to sell their properties, businesses and belongings. Gone are the days when the Auction was seen to be the last option or a desperate attempt to sell an asset. Nowdays the Auction option is becoming the preferred method of selling your assets and we at Portfolio Property Investments have forged strong relationships with the Auction leaders in South Africa to bring to you this additional value added service. At Portfolio Property Investments our trained internal Auction representatives will discuss with you the merits of either selling your property through us (via traditional means) or via us through Auction. All the processes and procedures will be discussed with you as well as all your questions being answered. 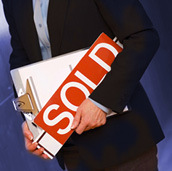 We will be your representative throughout the process as well as the interface between you and the Auctioneers. The benefit of this is that you as the seller do as little as possible whilst our teams get down to the task of selling your property. You will not need to pay Portfolio Property Investments anything, as payment for our services is covered by the buyer. As part of our strategy and goal to be a ‘ONE STOP’ shop for all your property needs we have decided that it is only fair to offer our clients all the feasible options in selling their assets. We will not just take a mandate to sell your assets for the sake of doing so. Our objective is to sell as quickly as possible and if that means using the Auction route then that is what we will suggest to you. At the end of the day the decision is always yours as the seller. We offer this service to you our client on a national basis. With the addition of this service we feel we are covering all the bases for our clients. We also feel that our clients are comfortable in the fact that we are involved throughout the process with them and that we are there to represent their interests. 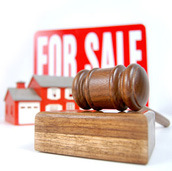 So if you are thinking of selling your home, buildings, businesses or moveable assets please contact us for Auction Advice. Our Monthly Multiple Auctions in conjunction with our Auction partners take place at upmarket hotels and venues nationwide. These events attract large crowds of Buyers and Investors, creating an excellent environment and atmosphere conducive to selling property. These events are professional, engaging and efficient.